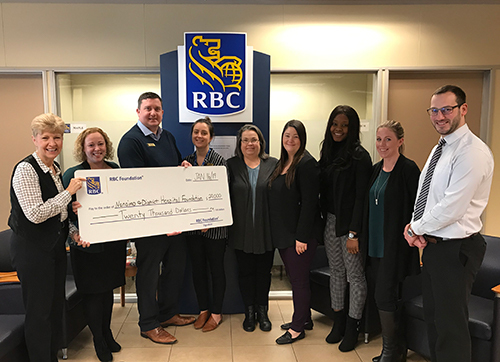 The Nanaimo & District Hospital Foundation supports leading edge care by funding professional development for medical staff. Whether it is a broader toolkit to assist patients in psychiatric or palliative care or advancements in post-surgical care, the Hospital Foundation is committed to funding relevant, transferable and innovative learning to support better health outcomes for patients. With constant advancements in healthcare knowledge and techniques, continuing education is essential in all areas of care. For example, emergency nursing care of a child with an acute illness or injury requires special knowledge and skills. 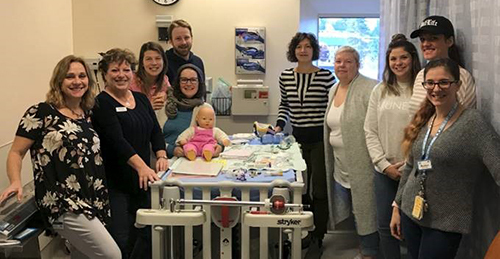 Wanting to be able to deliver the best care possible to young patients, RNs at NRGH recently took an Emergency Nursing Paediatric Course (ENPC). The ENPC, an intensive two-day course with an expert instructor, provides the core-level paediatric knowledge and psychomotor skills (skills where movement and thinking are combined) needed to care for paediatric patients in the emergency setting. And the staff appreciate the impact of ongoing learning including the greater depth and breadth of knowledge that improves the care they can provide to patients on a daily basis. The Hospital Foundation is grateful to our generous donors whose gifts enable the funding of such important continuing education.